Do you have a loved one that simply loves scuba diving? If you do, then a great way to say I love you is to buy them scuba diving apparel or scuba diving clothing. Diving inspired clothing that is both fashionable and functional can be given for birthdays, and they make perfect holiday gifts as well. Below is a list of different types of scuba diving apparel that just might appeal to you or someone you love. A great way to keep the sun out of your eyes and advertise your favorite sports is with a scuba diving inspired hat. Hats will allow you to stay out on the open water without having to worry about the sun beating down on you. When you buy a hat for your loved one, why not buy one for yourself as well? 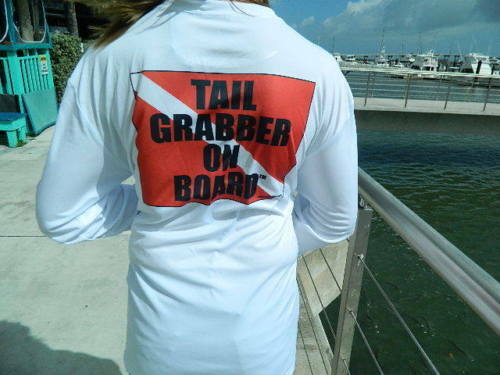 Another practical gift to give to a scuba diver or lobster diver in your life are stylish rash guards. 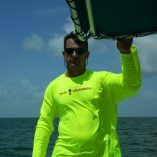 You really can’t hit the water without a rash guard to protect you from abrasion and sunburn. Rash guards are a must have for any diver, so why not give them a gift that they can actually use? When out of the water, a great way to show love for the sport is with a diving inspired shirt. These vibrant shirts come in several different appealing colors to match your family member or friend’s personality. 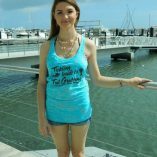 If you have a lady diver in the family, they would probably love to receive a stylish tank top. Tank tops are great for the summer and will keep you cool when the weather outside is hot. No matter what type of diving, scuba diving apparel and clothing as gift will put a smile on their face. Birthdays, holidays, and just to say I love you are all great opportunities to give these amazing gifts. So, start shopping today and get them the apparel they love the most! 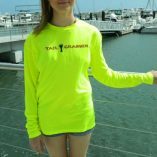 This entry was posted in Apparel and tagged apparel, diving, Florida, florida lobster mini season, lobster apparel, lobster clothing, lobster diving, lobster gear, lobster lovers clothes, lobstering.